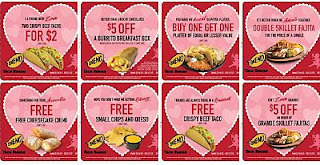 Free Valentine's Day coupons at Taco Bueno. Buenoheads will you be our Valentines? Click the link below to go to their Facebook & print your coupons.